A person who has never been arrested before can lose a lot of sleep over a 1st offense drunk driving case after bonding out of jail. Question after question enters their mind, due to unfamiliarity with Alabama Laws on DUI. On a first DUI offense, will I go to jail? How much will I be fined for s first time DUI? Will I suffer a license suspension, on a 1st offense DUI? 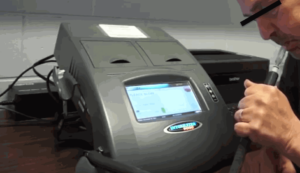 Should I have blown into the breath alcohol testing device? How do I know who to select the best DUI attorney Birmingham AL? The information listed below, dealing with the minimum penalties for a 1st offense DUI Alabama, and how to negotiate complicated Alabama DUI laws on suspensions will help you understand the value of hiring the best Alabama DUI Lawyer. 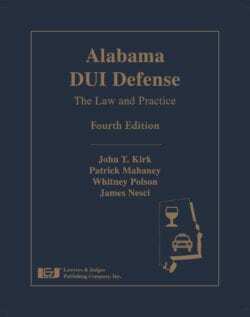 In fact, you can hire the man who wrote the Book on DUI defense in Alabama. Hopefully, this list of DUI penalties and driver’s license suspension or revocation issues can answer most questions. What Jail Time or AL DUI Fine for First DUI Offense Am I Facing? If convicted of a DUI Alabama, you can serve up to 1 Year in Jail or pay a fine ranging from $600 (minimum mandatory) to $2,100 or both. The minimum fine for a 1st DUI conviction in Alabama is $600, if the fine is part of your court-ordered DUI penalties of an Alabama DUI. 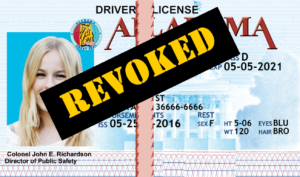 A first offense DUI in Alabama will suffer a total Driver’s License Suspension for 90 days, unless he or she is eligible for the ignition interlock option. If not eligible, after the ninety-day period, early reinstatement of the drivers license can be obtained. Because an UBER or LYFT vehicle is not available in much of Alabama, this can be a severe hardship. 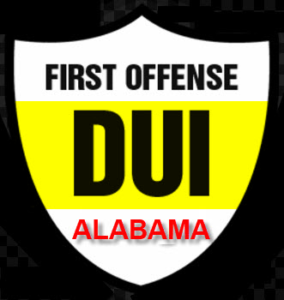 Following federal highway safety mandates, Alabama DUI law sanctions any 1st DUI offense with a high BAC level of 0.15 grams percent or more. Like many other states (Georgia, West Virginia, Wisconsin) refusing to take a breath alcohol test after arrest for DUI in AL brings more severe driver license penalties, under the implied consent laws in Alabama. However, if the DUI Alabama offender has blown into the breathalyzer and has a breath alcohol result under 0.15 grams percent, interlock installation may be elected for 180 days and the full 90-day suspension is then lifted. If there is a Refusal to provide a Breath Test, or a conviction for an Alabama DUI with an alcohol breath test of .15 or higher, or accident with injury, or DUI with a child in the car under 14, then a mandatory ignition interlock of 24 months will be required. These additional DUI consequences have been added to Alabama DUI laws by the Alabama Legislature, as they target egregious DUI behavior, or risky drunk driving situations, in escalating and increasing Alabama DUI penalties. One of the Legislature’s goals is to stop dangerous drivers, like a person convicted of DUI alcohol or DUI drugs, from being a future risk. All persons convicted of a first offense DUI in Alabama must undergo a substance abuse evaluation, and follow any recommended substance abuse treatment, as deemed necessary by the substance abuse counselor. Because the convicted drunk driver must satisfy all sentencing conditions and pay all fines and surcharges that are part of the Alabama DUI sentence, probation is mandatory. This oversight by the probation departments assures compliance with Alabama DUI laws for a court-ordered time period after the sentencing. Since jail time could be for a full year, probation is a replacement for jail. 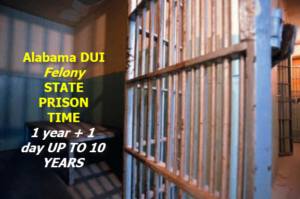 The sentencing Judge has the discretion to put probation in place, rather than merely send the 1st offender to jail for the whole 12 months for a misdemeanor DUI in Alabama. Various states have widely different DUI laws, that are substantially more punitive that a Judge in an Alabama DUI court case, and others may offer penalties of diversion that is substantially better that Alabama DUI penalties. For example, in some states, like Nebraska, probation on a DUI first offense may not be required if the accused is willing to spend a week of jail time instead, but in California, after two days of jail, the DUI 1st offense is followed by three years of supervised and administrative probation, on a first offense DUI in that state. So, Alabama first offense DUI probation is somewhere in the middle. If you or someone you care about has been arrested for Alabama DUI, please contact a reputable, experienced DUI lawyer who knows DUI law Alabama at once to get fully informed about Alabama drunk driving laws. 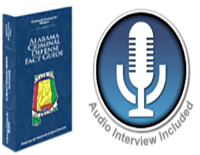 Call our qualified Alabama DUI defense lawyers for a FREE case consultation. The courts in Alabama don’t allow “do-overs.” You get one chance to win your DUI in Alabama, so why not hire an experienced, reputable, expert Alabama DUI lawyer? The Birmingham DUI attorneys at Polson Law Firm have trained for their entire legal careers, to be able to accomplish great outcomes for their clients, in driving under the influence cases, in any corner of the State of Alabama. We are serious about helping you overcome this career challenge. An Alabama DUI attorney from Polson Law Firm will travel to your location, if necessary, after you have been in a serious auto accident. A DUI lawyer Birmingham AL will fight your Alabama DUI charges across the entire State of Alabama, as well as other misdemeanor or felony criminal offenses. If you were arrested for an Alabama DUI, CALL our BIRMINGHAM DUI LAW FIRM now. At our DUI lawyer office, we respond 24 hours a day. 205-871-8838. You can also call our Birmingham DUI attorney office toll free at 1-844-7POLSON [1-844-776-5766].